Wellington, Bungani Simakade, Alias Naki, Edward and Seubonga all received California Bikes from the Wheels4life program. The five of them work at Olympia Café and Deli, located in Kauk Bay South Africa. They range in occupation from cleaners to chefs in the kitchen. Each of them live in Masiphumelele, a township about 8 kilometers away. The daily taxi/train fare to get to work was R 8.20 (US$ 1.25) each way and takes about 45 minutes. Most of them walked half the distance (from Fish Hoek) to save a bit of money but now that they have California Bikes, they are able to get to work in 40 minutes for no cost. Wellington also uses his bicycle to go to Long Beach, a popular spot on the Atlantic side of the peninsula. 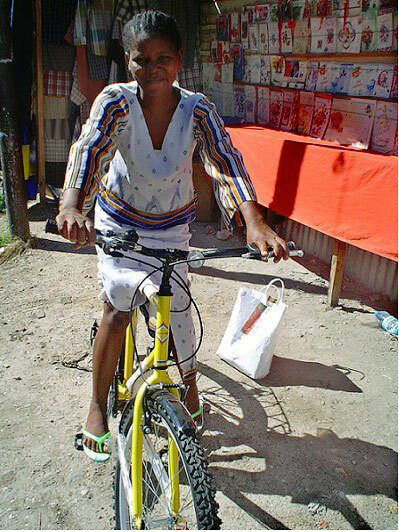 Bongani is no stranger to cycling as he had a bicycle previously, which was loaned from a relative and second hand. Unfortunately the bicycle got to be too old and it was impossible for the bike shop in Masiphumelele to fix it. Alias also lets his son use the bicycle who also works at Olympia. When one does the math, the cost to travel to work each day can pay for the cost of a California Bike in only three months (R8.20 x 2 times a day x 5 days a week x 4 weeks in a month). Such a simple investment is impossible when, to put food on the table, is the major struggle in an economy with unemployment figures around 40%. 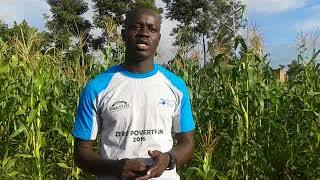 Providing bicycles, or even better, providing the financing mechanism for workers such as Wellington, Bunagni, Alias, Edward and Seubonga to get bicycles is the key to a life out of dependency and poverty. 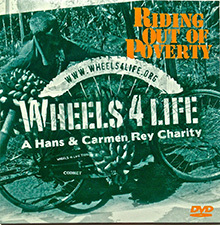 The reason that Wheels4life choose to give these five breadwinners bicycles was to create a culture. Olympia owner, Kenneth McClarty is an avid recreational cyclist and has been looking for ways to pass his passion onto his workers and make them realize the benefits of cycling he has seen. 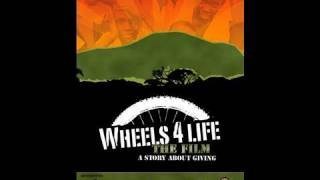 It’s hoped that through this donation from Wheels4life the Olympia staff will see the both health and monetary benefits of cycling. Olympia will work with the Institute for Transportation and Development Policy (ITDP), the NGO spearheading the California Bike Program, to create innovative schemes to get the rest of the interested staff onto bicycles. Meshack Nchupetsang (birth name Henyang) lives in Westlake South Africa. With the help of BEN he opened his own bicycle store in 2002. Meshack got in contact with BEN at several cycling races were he worked as a volunteer. When BEN came up with the idea of starting a bicycle shop in Westlake, he was the first man they wanted for the job. Meshack’s dream has always been starting a business of his own, so his answer was of course yes. Meshack didn’t have a lot of expectations when he started his business. The only thing he knew was that it would all depend on him. This also means he thinks a lot about the possibilities in the future, he’s planning on organizing cycle tours and starting a little restaurant near his shop. 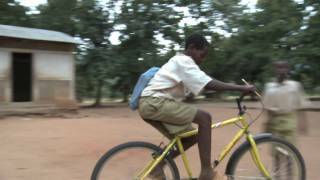 Although Meshack has a car, he uses his bicycle far more often. Not only for staying fit, but also to discover Cape Town. He often cycles long distances to Cape Point en the centre of Cape Town. And of course his bike gets him around in the neighborhood. Also an important reason of using his bicycle is that it’s much cheaper than his car that needs petrol. He never lends his bike to someone else, there are a lot of reckless people who don’t take care of the bicycle and don’t give it back properly. That’s why in this area people don’t see it as a good deed when you’re lending a bike, they simply call you a fool. Beside that, people view him positively since he’s got a bike. They see it as a powerful thing you’re staying fit and have the freedom to go anywhere you want. It’s clear the bike and bike shop changed Meshack’s life. His shop gave it more value and a purpose. Now he’s got the future in his own hands and that means he’s also got stability. He has an income and gets closer to people by meaning something for them. He can employ and train young people and offer them the same future he has. 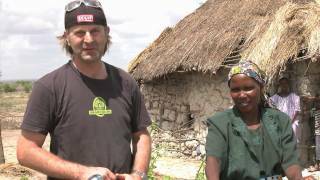 He’s healthy, fit and the most important thing is that Meshack can take care of his wife and children. 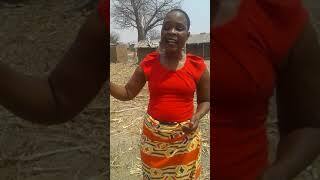 Maria Peter Gallus is a 30 years old widow residing at Buyuni Chanika in Ilala Municipality. Her husband died in early 2005 from HIV Aids leaving her with four kids to take care of. 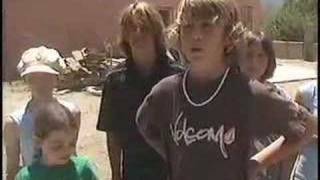 Two of them are in primary school and the youngest has not even started school. 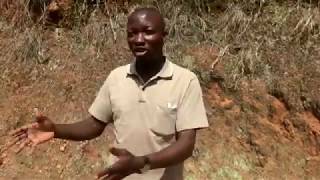 The eldest is a boy who finished primary school two years ago and has been engaged on and off as a casual labourer to tend some of the small farms in Buyuni area. The amount which the eldest son is able to bring home varies depending on availability of casual work. During the rainy season lasting from March to June, there is plenty of work to weed rice and maize farms. The work decreases during the dry season which is time for vegetables grown in tiny plots due to limited water availability. As a result, Mrs Maria Peter Gallus, despite her poor health as she is also HIV positive, is forced to do work herself whenever she can, growing crops for sale in the local market. 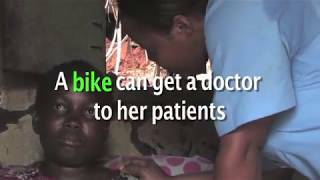 She goes to Ilala hospital every month to collect anti retroviral drugs and this has helped her to continue with her activities normally. Among the crops which Mrs Maria Peter grows are mainly vegetables, including amaranthus, okra, water melon and Chinese cabbage. The best opportunity to sell the crops is Chanika wholesale market where traders from City centre markets come to purchase various agricultural products for sale in the larger markets. Chanika Market is 5 kilometres from Mrs. Maria Peter Gallus’s residence and she has to walk that distance as bus fare is prohibitive. On a typical day, Mrs Peter wakes very early at around 5 a.m. to pick vegetables and take them to the market. Having a bicycle would greatly ease her troubles by enabling her to reach the market in short time and with greater load of vegetables. She may also diversify her activities by taking vegetables to other areas like Pugu Mwakanga and Kigogo Fresh.